Opinion: Who wants to own bitcoin? OPINION. In order to understand the potential of bitcoin, it is important to first realize that there is a difference between price and value, and that the price fluctuates far beyond the value of an asset, says Ingemar Felix Radacic, who runs the Swedish investment blog "Tillslut". If you go on Twitter (where I spend a lot of time) and search for bitcoin (with your native language) you can see something interesting. Most posts are neutral to negative regarding bitcoin. Positive posts are rarely found, and if there is any kind of discussion, someone often throws out “would never own that rubbish” or “tulip scam”. The interest in Google searches for bitcoin peaked in December 2017 when the price crashed. Now, we are back at the levels that are normal over time. Certainly, the peak did happen at the same time, but the price goes well over what was normal before 2017. One conclusion that one can make from the following is that most people who are saying what a junk bitcoin is, compared it to the period when the price was at the highest. Just by looking at the graph above, you realize that over time, it has been really good to own bitcoin. One can also see that there is no direct link between how much people talk or search for bitcoin and the actual price. One thing to look for, if you think that the price of bitcoin instead should be based on how much it is used, is the number of transactions. In my world, bitcoin gets its value from the network, the more people using it, the more it is worth. Compare with, for example, Facebook – more users are equal to a higher value. The above is the number of transactions per day between 2009 and today. Sure, the number went down after December 2017, but the trend since early 2018 has undoubtedly pointed upwards. 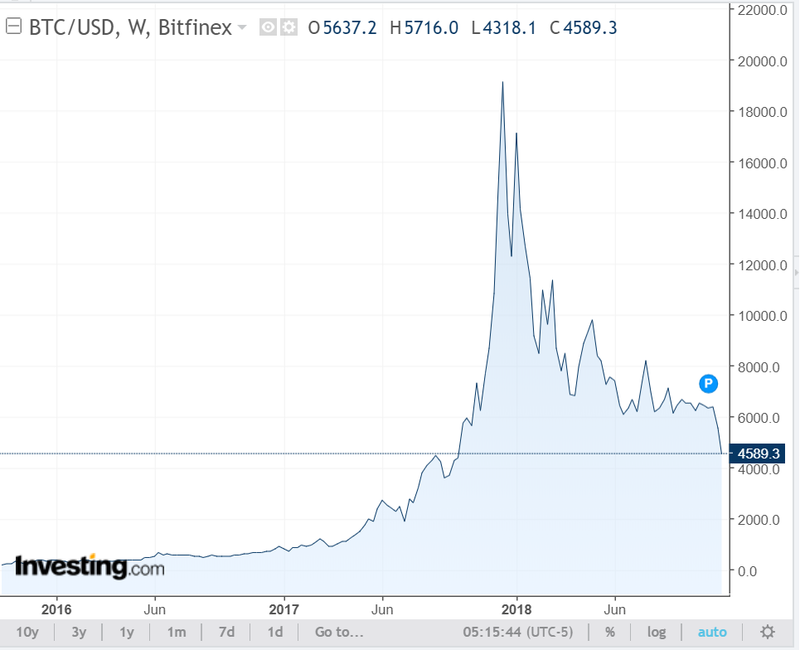 One basic question you can ask is: what is the value of bitcoin and how should one predict it? To answer that, it is important to first realize that there is a difference between price and value. The price fluctuates far more than the value of an asset. An example that is easy to understand is when a company, such as Apple, sells its products cheaper on Black Friday. The price is lower that day but the value is obviously the same as the day before. The number of transactions on the bitcoin network increases. After a while, the price for bitcoin also begins to rise. Interest is increasing and more uninitiated people begin to be interested. The top at the moment is reached and the price is then falling. With that said, in other words, it seems to be a good opportunity to start buying in bitcoin now. The development of bitcoin has also not stood still. A valuable development has taken place, such as “Lightning Network”. It is a good way to make transactions that are not verified directly on the blockchain, resulting in faster and cheaper transactions. The product is thus improved continuously. Back to the question that is asked in the title: who wants to own bitcoin? The answer is: whoever understands what is happening! Interested in sending us an opinion article? Mail us at info@trijo.co.